Ever since UEFA started imposing disciplinary measures to football clubs for not complying with Financial Fair Play’s break-even requirement in 2014, it remained a mystery how UEFA’s disciplinary bodies were enforcing the Club Licensing and Financial Fair Play (“FFP”) regulations, what measures it was imposing, and what the justifications were for the imposition of these measures. For over a year, the general public could only take note of the 23 settlement agreements between Europe’s footballing body and the clubs. The evidential obstacle for a proper analysis was that the actual settlements remained confidential, as was stressed in several of our previous Blogs. The information provided by the press releases lacked the necessary information to answer the abovementioned questions. On 24 April 2015, the UEFA Club Financial Control Body lifted part of the veil by referring FC Dynamo Moscow to the Adjudicatory Body. Finally, the Adjudicatory Body had the opportunity to decide on a “FFP case. The anxiously-awaited Decision was reached by the Adjudicatory Chamber on 19 June and published not long after. Now that the Decision has been made public, a new stage of the debate regarding UEFA’s FFP policy can start. This blog will firstly outline the facts of the FC Dynamo case and describe how and to what extent FC Dynamo breached the FFP rules. Secondly, the argumentation and the disciplinary measures imposed by the Adjudicatory Chamber will be scrutinized and compared to the measures imposed on other football clubs who, unlike FC Dynamo, were capable of reaching a settlement with UEFA. After the CFCB Investigatory Chamber met to assess FC Dynamo’s monitoring documentation in August 2014, it quickly became apparent that FC Dynamo had a break-even deficit. The deficit amounted to €13,231,000 for 2012 and €23,593,000 for 2013, giving an aggregate total of €36,824,000. What was more important for the assessment, however, was the close relationship the Russian football club had (and still has) with JSC VTB Bank (“VTB”). VTB is both the main shareholder in FC Dynamo (holding 74% of the shares in the club) and the club’s principal sponsor. In accordance with Article 58(1) of the FFP regulations, the relevant income under the regulations includes the revenue derived from sponsorship and advertising. Furthermore, as is stipulated in paragraph 4 of that same Article, relevant income from related parties (such as sponsors) must be adjusted to reflect the fair value of any such transactions. Thus, the CFCB Chief Investigator requested a copy of the sponsorship agreement between FC Dynamo and VTB in order to assess whether it was in conformity with the “fair value” requirement. The documentation that FC Dynamo provided was based on a separate valuation report by the firm ‘Repucom’. The results of the calculations made by the Investigatory Chamber are staggering. Where the break-even deficit without taking into account the sponsorship agreement amounted to €36,824,000 for 2012 and 2013, the final number, after “fair value” adjustment of the sponsorship agreement, amounts to a whopping €192,557,000. These results are shown in the following table, which is taken from the Decision. Given that the investigations of the Investigatory Chamber were taking place towards the end of the monitoring period 2014, the Chamber asked the Russian football federation to send updated monitoring information covering the year 2014. In order to calculate the updated break-even result, it included a second valuation report done by PWC, in addition to the Repucom report. The final break-even result for the monitoring years 2012-2014 is €302,268,000, as can be seen in the second table below. In accordance with Article 61 (2) of the FFP Regulations, the acceptable deviation from the break-even requirement is €45,000,000 for the monitoring period assessed in the seasons 2013/14 and 2014/15. Therefore, in order to determine the aggregate total of FC Dynamo’s break-even deficit is €302,268,000 - €45,000,000 = €257,268,000 (see table 3). An aggregate break-even deficit of €257,268,000 is incredibly high. Especially if one takes into account that the break-even deficit for the years 2012 and 2013 without the sponsorship agreement amounted to “only” €36,824,000. Even though both the fair value of the VTB sponsorship agreement declared by FC Dynamo and the fair value adjustment according to the Investigatory Chamber have been censored in the Decision, one can safely assume that the adjusted value of the sponsorship agreement was roughly €200,000,000 less than what FC Dynamo was receiving from VTB over a period of three years. In March 2015, the Chief Investigator informed FC Dynamo that UEFA would withold the revenue obtained by the club in European competition. Not long after this decision, on 27 March a meeting was held between the Investigatory Chamber and FC Dynamo. Though the details of the meeting remain unknown, evidently no settlement between the club and the Investigatory Chamber was reached, thereby making FC Dynamo the first club failing to do so. As a consequence of the parties’ failure of reaching a settlement agreement, the Chief Investigator referred the case to the Adjudicatory Chamber. Moreover, in addition to the referal of the case in accordance with Article 14(1) of the Procedural Rules governing the UEFA Financial Control Body to the Adjudicatory Chamber, the Chief Investigator suggested that FC Dynamo were to be excluded from at least one UEFA club competition for which FC Dynamo would qualify in the future, and advocated a fine of at least €1,000,000. Pursuant to Articles 20(1) and 23(1) of the Procedural rules, the Adjudicatory Chamber asked FC Dynamo to submit its observations and convened an oral hearing with the club on 16 June 2015. Having received all the information it required, the Adjudicatory Chamber proceeded to formulate its final Decision in accordance with Article 27 of the Procedural Rules. The Adjudicatory Chamber agreed with the Investigatory Chamber that the key issue in the FC Dynamo case is the valuation of the sponsorship agreement with VTB. The Chamber accepted that this value had to be adjusted to a fair value and that the Expert Reports (Repucom and PWC) were an appropriate basis to do so. Mostly, the Chamber based its final decision on the Investigatory Chamber’s findings. In the end, it concluded that, “no matter which Expert Report valuations are used, the Club has failed to fulfil the break-even requirement because it had an aggregate break-even deficit within the range set out in Paragraph 58” of the FFP Regulations. 1. The Russian television market generates less revenues than the television market in other European States, thereby creating an economic disadvantage for the Russian clubs. 2. The Russian league imposes restrictions on foreign players. 3. The Russian clubs have suffered economically from the fluctuating exchange rates. 1. Other European States also generate less revenue from television. However, their clubs comply with FFP rules. 2. A vast majority of European leagues are subject to limitations regarding the use of foreign players. Russia is not “special” in that regard. 3. Changes in exchange rates may have had an adverse impact on FC Dynamo’s liability under a loan denominated in Euros. However, this did not result in an adverse impact on the Club’s break-even result. Furthermore, it must be remembered that the impact of such fluctuations can be reasonably considered negligible in the context of FC Dynamo’s overwhelming failure to comply with the break-even Requirement. In the observations submitted by FC Dynamo to the Adjudicatory Chamber, the club also presented plans that will allow it to fulfil the break-even requirement in the future. First of all, FC Dynamo’s plans for a new stadium will allow it to generate more revenue. Secondly, the club indicated that it was seeking new investment in the club by means of selling shares and that it will enjoy increased revenues from new sponsorship and retail opportunities. In addition to the financial projections, FC Dynamo also held that it had introduced new internal guidelines to govern its transfer activities (including a salary cap) and has suggested that an emphasis will be placed on more youth players being promoted to the first team. Again the Chamber was not convinced. FC Dynamo’s proposals were deemed “vague in substance and its projections appear overly optimistic. Whilst the Club’s good faith throughout the proceedings and acknowledgement that it must adjust its business model is welcomed, its proposed route to compliance with the Break-even Requirement is far from certain.” As regards the stadium, since it will not be owned by FC Dynamo itself, the Chamber argued that it remains unclear whether it will generate more revenue. And even if it does, this will not happen before 2018. It also remains uncertain whether FC Dynamo will attract new investment. The Chamber is aware of VTB’s plans to sell its shares, but is uncertain if any sale can be effected in the near future. The potential buyer of these shares, Dynamo Sports Society, and VTB have only signed a non-committal intention clause regarding the transfer. Further, the Chamber deems it unlikely that FC Dynamo will comply with the break-even requirement through increased sponsorship revenue. As FC Dynamo itself pointed out in its observations, “unfavourable economic conditions” may make it difficult to attract new investment. More importantly, “having regard to the scale of the Club’s failure to fulfil the Break-even Requirement, even a strong increase in revenues from commercial activities and player sales would be unlikely to bring about FC Dynamo’s sustained and consistent compliance with the Break-even Requirement, for so long as the related party issues surrounding VTB’s involvement with the Club persist”. Lastly, the Chamber welcomes the club’s ambition to reform its transfer activities and place more emphasis on youth players, but similarly held that there is no guarantee that FC Dynamo will actually comply with such policies. According to the Chamber, FC Dynamo failed to justify the break-even deficit convincingly and, consequently, faced disciplinary measures. By form of reminder, the Chamber stressed that the objectives of the FFP Regulations included the encouragement of clubs to operate on the basis of their own revenues and, thus, the protection of the long-term viability and sustainability of European football. Furthermore, the principle that all clubs competing in UEFA’s club competitions must be treated equally underpins the Regulations. Since not meeting the break-even requirement may directly affect the competitive position of a club, to the detriment of clubs who comply with the FFP Regulations, this principle has even greater force. The main, and extreme, disciplinary measure imposed by the Chamber upon FC Dynamo, consists of an exclusion from the next UEFA club competition for which the club would otherwise qualify in the next four seasons (i.e. the 2015/16, 2016/17, 2017/18 and 2018/19 seasons). Given the scale of the club’s failure to comply with the break-even requirement, the measure is regarded by the Chamber as the “only appropriate measure to deal with the circumstances of this case”. As for FC Dynamo, under Article 34(2) of the Procedural Rules, it had 10 days to appeal the Decision in writing in front of the CAS. First and foremost, the exclusion from European competitions as a disciplinary measure has, so far, only been imposed on FC Dynamo. None of the club with whom the Investigatory Chamber had reached settlement agreements have been excluded from European competitions for breaching the break-even requirement. The Adjudicatory Chamber had stated numerous times in its Decision that the key factor in the FC Dynamo’s case was the scale of the club’s failure to comply with the break-even requirement. From an objective point of view, a break-even deficit of €257,268,000 is very high indeed. In the view of the Chamber, it justified such a far going disciplinary measure. The question remains, however, what the break-even deficit was for those clubs who managed to reach settlement agreements. Was the break-even deficit for clubs like Manchester City and PSG lower or higher than 257 million? If it was equal or higher than this amount, how did these clubs manage to settle where FC Dynamo failed? Would the measures imposed on FC Dynamo be considered proportionate if other clubs had the same or higher break-even deficit? On a different note, the FC Dynamo case does allow us to understand better the rationale behind the Adjudicatory Chamber’s decision to impose certain disciplinary measures. It is interesting to see how much weight it places on sponsorship agreements that, according to the Chamber, do not represent a fair market value. This is not only useful information for football clubs, but also to third parties who might be interested in sponsoring a football club. On a downside, we will probably never know exactly what the value of the sponsorship agreement was according to the club, and how it was adjusted by the two Chambers. Even though FC Dynamo had the right to keep certain information confidential, knowing the two figures would have helped us to better understand the reasoning used by the Chambers in reaching their decisions and choosing to exclude FC Dynamo from UEFA competitions. Finally, these are still crucial times as regards the functioning and the legality of UEFA’s FFP rules. The rules are being challenged in front of both the French and Belgium courts as we speak and there is always the possibility (though remote, see our blog) of the European Courts having to judge on the matter. A challenge in front of the CAS could be seen as a welcome contribution to test the legality, the functioning and the proportionality of the rules. Though it is currently unknown whether FC Dynamo has made use of the opportunity to appeal the case to the CAS. See e.g. 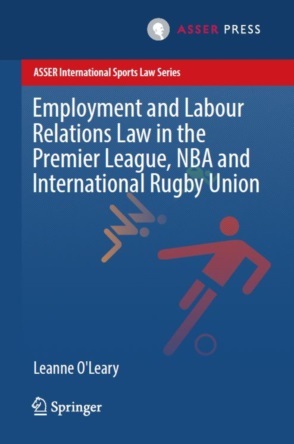 : Luis Torres, “Financial Fair Play: Lessons from the 2014 and 2015 settlement practice of UEFA” (8 June 2015); and Oskar van Maren, “The Nine FFP Settlement Agreements: UEFA did not go the full nine yards” (19 May 2014). 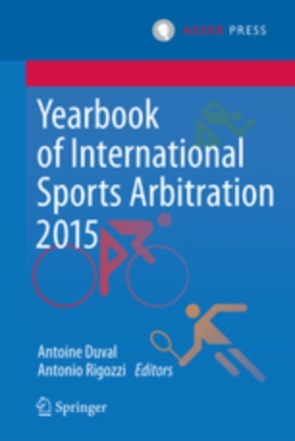 Decision in Case AC-02/2015 CJSC Football Club Dynamo Moscow of 19 June 2015, para. 5. Under Article 33(3) of the Procedural Rules Governing the UEFA Financial Control Body, “the adjudicatory chamber may, following a reasoned request from the defendant made within two days from the date of communication of the decision, redact the decision to protect confidential information or personal data”. Decision in Case AC-02/2015, para. 17.
d) to uphold, reject, or modify a decision of the CFCB chief investigator. Decision in Case AC-02/2015, para. 56. Ibid, paras. 68 and 69. According to para. 85, the stadium will be owned and operated by a separate legal entity named ‘Assets Management Company Dynamo’. For more information on the settlements agreements, see our blog from 9 June 2015.